Every year, we never failed to attend the Oktoberfest organized by the German Club. Of course, why would we? Our boss is a German and we like to parteey! So we bought 10 tickets at roughly PhP 2,000 each. We invited a couple of friends and we partied the night away. This was my second servings of pure Bavarian food. 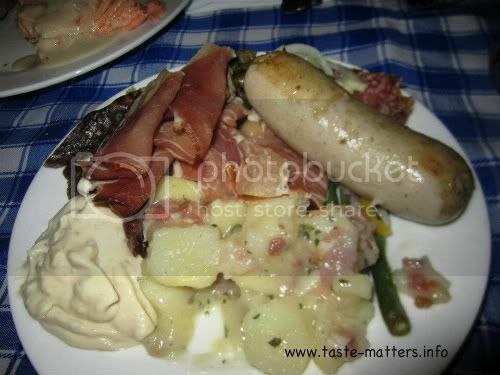 Lots of sausages and German food to choose from with free flowing San Miguel draft beer. My entry for Food Trip Friday and Yummy Sunday. ayay! 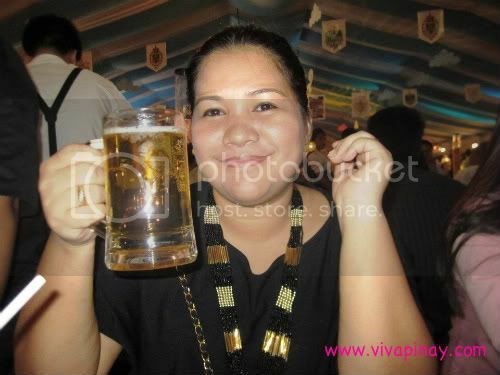 pag octoberfest gani foodfeast jud...ehhehee...kalami kau! murag malipong ko anang beer nimo te...murag usa man ka pitcher...ehehehe....love your attire...late visit from FTF! 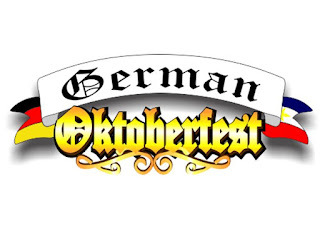 a great post for Octoberfest! really nice food, looks like a great place, thanks for the post.